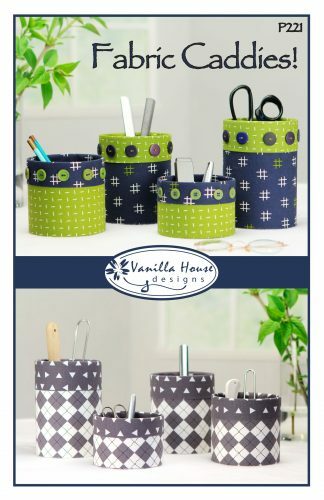 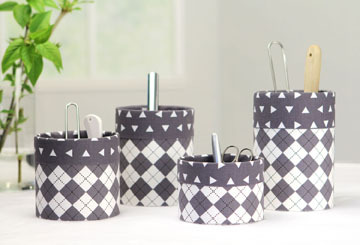 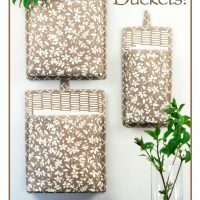 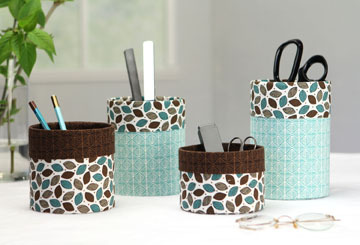 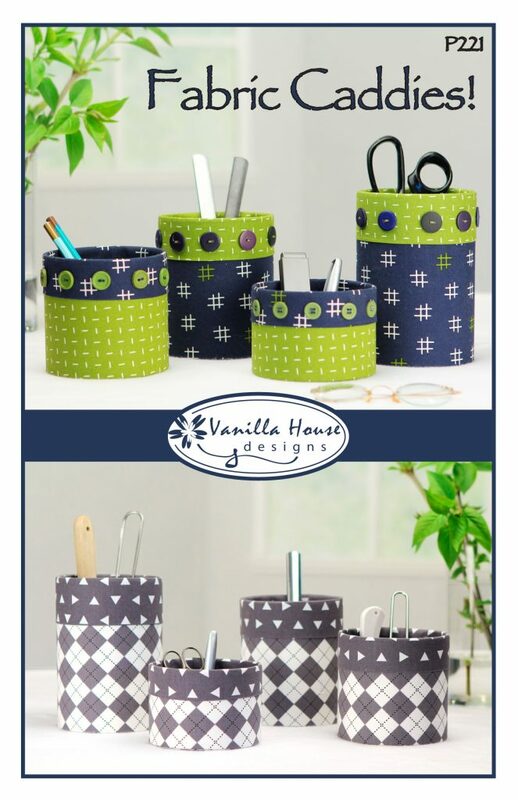 Coordinate your kitchen, office, and craft room with these fabric-covered caddies. 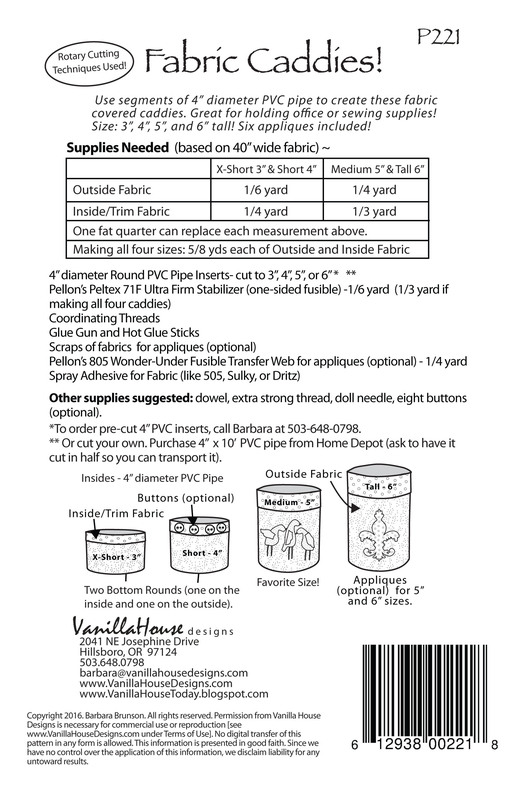 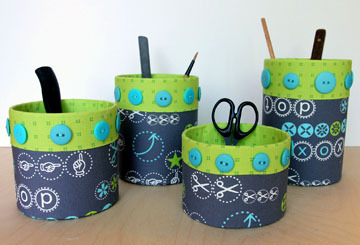 Using segments of 4” diameter PVC pipe on the insides, the caddies come in four sizes: 3”, 4”, 5”, and 6” tall. 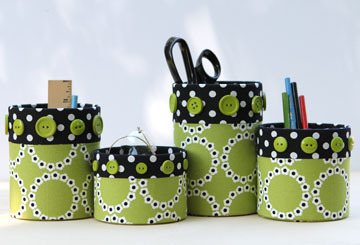 Easy to make and handy to use for utensils, pencils, and scissors. 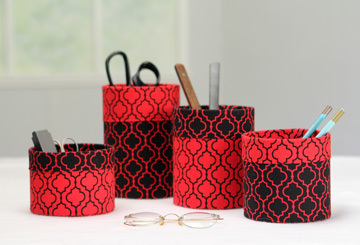 Six appliques included for medium and tall sizes.